I was changing trains at Frankfurt Hbf and it was a a bit cold outside (close to 0°C). I asked at the information desk if there was any heated waiting area, and they told me this was only available at the Bahnhofsmission at platform 1, door 7. I walked over there. The door was closed (I don't know if it was locked) but there was a bell and I could see light and people inside, but they did not look like travellers. I did not ring. What is the function of the Bahnhofsmission? From their website, it appears to be a charity with a broad scope, but rather for people in trouble than for a traveller who would appreciate a bit of warmth. Is it only for emergencies? What do they actually do? 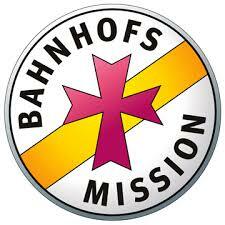 The Bahnhofsmission (train station mission, mission in the religious sense) is over 100 years old and began as a Christian network to help out young girls moving into the cities who were searching for work and were prone to be exploited for low/unpaid work or prostitution. Train stations were hot points for social problems because they connected and still connect people coming from everywhere. The Bahnhofsmission tries to help everyone (!) with everything (!) without looking at their backgrounds and uses both staff and volunteer workers. It starts by you asking them for a pencil, for a map, or for a warm place and it ends with support if your train is out of order, the train had an accident, or you are the victim of a crime. As a Christian organisation, it is supported by both by Roman Catholic and the German Protestant churches. For this reason, you can expect a religious environment: bible and crosses. As clarified in the comments, this does not mean that they try to evangelise, they simply want to convince by action, not by words. They will gladly talk about their background and the Christian idea if you are curious and interested, but if you don't want to be bothered with that, they won't bother you. Given the extremely broad mission (essentially they are do-it-all) and the different people involved, it is often quite perplexing because you can find beggars, stranded people, and normal tourists. It is also said without a word that more important problems are tackled first, so, if you only need information, it could take some time. As Thorsten pointed out in his answer, the Bahnhofsmission is a charity. From their historical origins, they have become one of the main sources of support for those homeless people who do not want to deal with the welfare bureaucracy for some reason. Some travelers may not feel comfortable with the other applicants in a Bahnhofsmission, especially if there are language barriers. But if you have a problem and you can't/won't solve it by spending money (e.g. on a taxi and a hotel bed) going there could be a good idea. What are the legal consequences for a tourist who runs out of gas on the Autobahn?